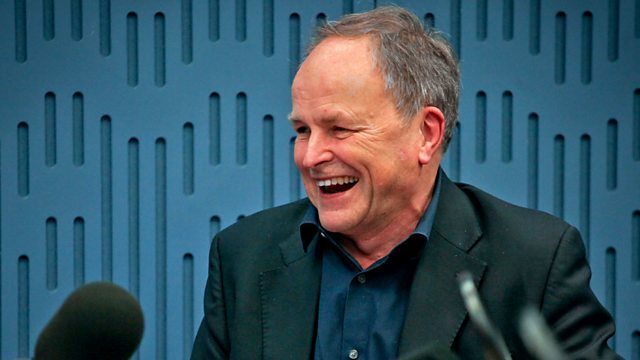 Clive Anderson and Nikki Bedi pick their Loose Ends highlights from 2018. Conversation, comedy and music comes courtesy of an eclectic line up: Hugh Grant, Catherine Tate, Janis Ian, David Sedaris and many more. David Sedaris is a master storyteller, but are his stories really true? Did he really feed his tumour to a turtle? Emma Freud managed to find out. Acting alongside Ralph Fiennes and Sophie Okonedo is intimidating enough, but when Gloria Obianyo played Charmian in Antony and Cleopatra at the National Theatre she also had three live snakes to wrangle every night. She introduces her milk snake co-stars Larry, Hondo and Pork Pie. Sindhu Vee told Clive why she quit investment banking to become a stand up comedian, and what her mother thinks of appearing prominently in her sets. Along with the late and very great Caroline Aherne, Craig Cash wrote The Royle Family, one of the greatest British sitcoms of all time. But at first the BBC didn't quite see the point of a comedy in which 'nowt happened', as he explained to Clive. What's in a name? Well, West Country boy Rupert Graves says he owes his career to his 'posh sounding' name - from classy Merchant Ivory adaptations of EM Forster novels, to Inspector Lestrade in Sherlock, via Tomato the Clown. Fresh from his purple patch starring in Jeremy Thorpe drama A Very English Scandal and Paddington 2, Hugh Grant talked to Clive about how it's nice not to have to play the nice guy all the time. 50 years ago a collective of poets came together and changed the face of music, inspiring countless musicians and helping to invent hip hop as a musical genre. That collective was The Last Poets who told Clive how, five decades later, they are still 'soldiers for humanity'. The wonderfully eloquent and insightful Janis Ian talked to Nikki Bedi about everything from bankruptcy to drugs to beating the First Lady to an Emmy. She also gave a haunting performance of her classic song At Seventeen. The Loose Ends studio was still ringing with the booming bass-baritone voice of opera star Sir Willard White long after he left the building. He told Clive about racism in opera, and how he almost became the scariest dentist in the world. Bestselling young adult author Juno Dawson opened up about being a trans role model, but remained tight-lipped about a certain footballer she dated. Film fans fell in love with Sylvia Syms in 1958 when she starred in Ice Cold In Alex, and she's been delighting audiences ever since. But Clive reminded Sylvia of one priceless movie-making moment she'd managed to forget. Acclaimed poet Salena Godden came in to the studio to talk protests with Peter Hain, and to read one of her brilliant poems, 'It Isn't Punk To Seek Permission'. It's not just in her bestselling books that Kimberley Chambers proves herself to be a consummate storyteller. She had Clive - and everyone else in the studio - in complete stitches as she talked about her early life on Roman Road Market, her tryst with Bangkok Barry, and finding fame as an author.